You can shop our website 24/7. Can I return a product for a full refund? Products can be returned for a refund. All returns must have prior approval from Traffic Safety & Equipment, Inc. Any unauthorized returns may be refused or returned at the customer’s expense. Returns must be in their original unused condition, unless there is a manufacturer defect. Items must be returned within 30 days of purchase. All items are subject to a 20% restocking fee or a minimum of $35.00, whichever is greater. 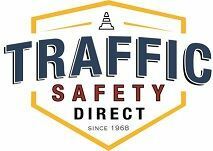 Waiver of this fee is up to the sole discretion of Traffic Safety & Equipment. Exchanges of a clothing item for a different size, color or style will not be subject to a restocking fee; however, you will still have to pay return shipping. Non-stock or custom items are not returnable. Electrical parts cannot be returned once installed. Return shipping costs are the responsibility of the customer unless the return is the result of an error by Traffic Safety & Equipment or due to a manufacturer’s defect. Refunds will be issued via the original form of payment. Shipping and handling fees are not refundable. What do I do if my order is damaged upon delivery? If your shipment arrives damaged, please call us at 888-260-3246 within 48 hours. Are rubber curb stops only for commercial use? Rubber curb stops are ideal for both commercial and private use. Use them within a garage, parking lot, or parking deck to protect walls and other valuables. Do you sell installation hardware? We offer installation hardware for our curb stop, permanent crosswalk safety sign, portable sign, speed bump, and sign products. I have portable signs that need replacement bases. Do you sell sign bases and posts? Our traffic safety supply product offerings include portable and folding sign stands, sign posts, and portable/fixed crosswalk sign bases. Do your handicapped parking signs meet state regulations? We sell handicapped signs that meet Federal R7-8 requirements, as well as signs that meet New Jersey R7-8P and New York R7-8NY regulations. All signs meet MUTCD standards. Does your conspicuity tape satisfy Department of Transportation specifications? Yes, our red and white striped conspicuity tape satisfies all state and federal regulations regarding the type of C2 reflective tape placement on tractor trailers, flat beds, tankers, etc. How long do the solar powered barricade lights hold their charge? Our solar powered barricade lights quickly charge in 1 hour and can hold their charge for 2 weeks with no sunlight. Can I use a temporary overlay marker on a highway? Temporary overlay markers are an effective and convenient way to provide short term pavement markings for both day and night. They can be made reflective on one or both sides. While simple to place and easy to remove, they are durable enough for use on any road, from local streets to highways. Do you have stencils that are rugged enough for use on pavement? Our 12-inch letter and number stencils are made from heavy-duty, reusable poly material that can withstand the rough pavement texture. They are designed to flex-off dried paint for years and years of continuous use. What do you need to know when ordering a stop sign? Here is a helpful little video to answer that question. Do we have any fun at work?